I am very attracted to Middle Eastern cuisine for couple of reasons. 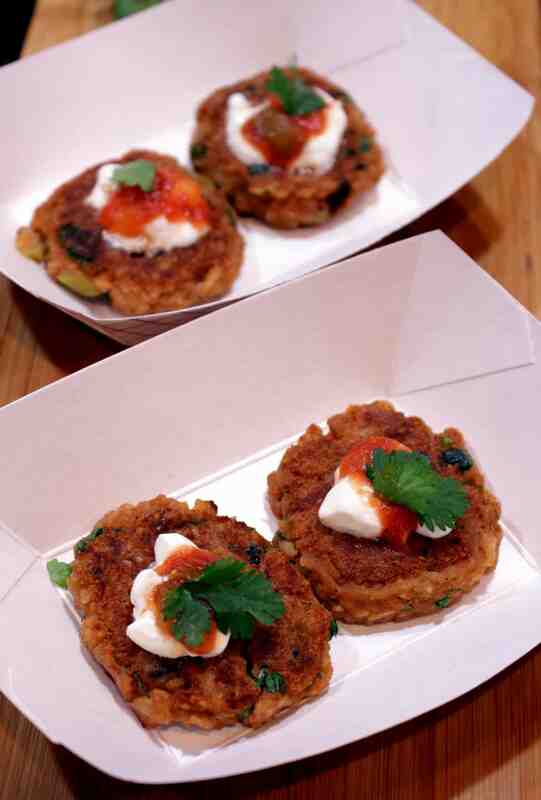 One, they have lot of vegetarian options and the second one is the flavors are so simple and clean. 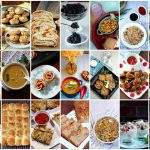 I love all the spices that go in the Middle Eastern cuisine, maybe because they closely resemble the Indian cuisine. 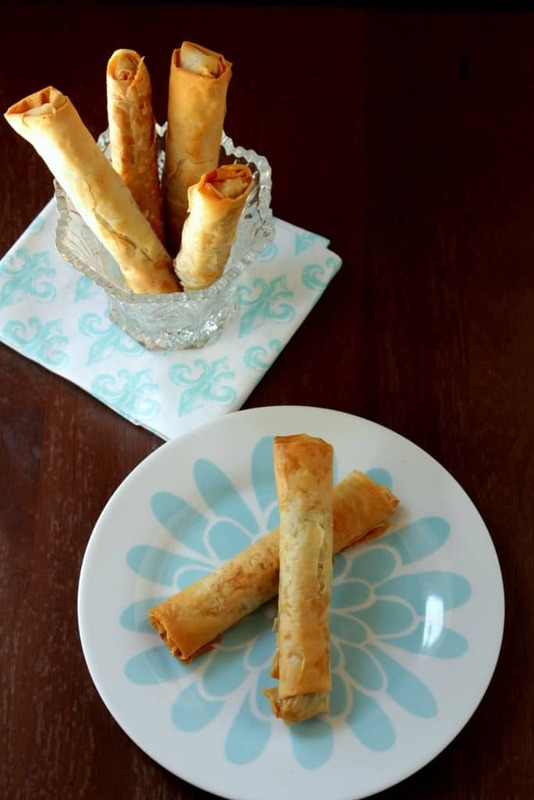 Phyllo is one of the greatest blessings to find in the supermarkets. I am yet to dare myself and try making the pastry sheets at home, but for now I am quite happy using the store bought ones. Baklava used to be the only thing I used to make with the phyllo, but lately I have ventured into making quite a few dishes with the pastry sheet. 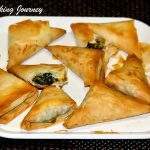 I have made the Indian Samosas with the pastry sheets using the spinach and paneer. 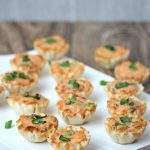 Just when I was making this recipe, I realized that any time I use the phyllo for savory recipes; I end up using spinach and some kind of cheese. Maybe because the first ever savory dish I ate out with phyllo is the Spanakopita which is made of spinach. 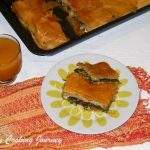 I have not made Spanakopita yet, but have made a similar Albanian version called the Byrek Mi Spinaq (Spinach Pie). 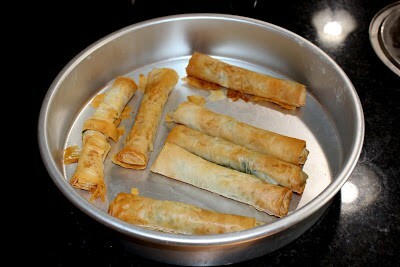 The filling I used for these Turkish cigars are very similar to Byrek Mi Spinaq, except there is no cooking involved. 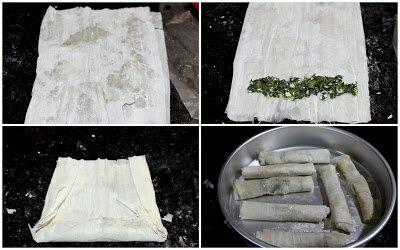 I used frozen spinach and hence just thawed the spinach, mixed it up with feta and some spices and rolled it into a cigar. 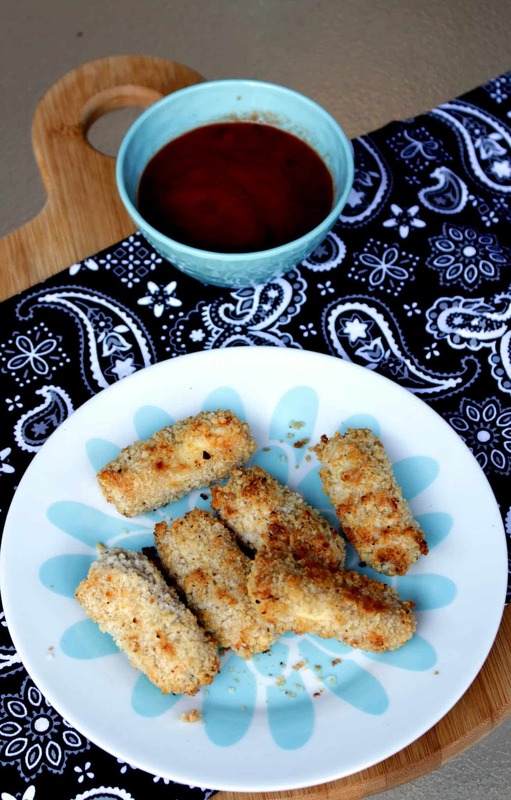 The cigars are a fun way to serve the kids. 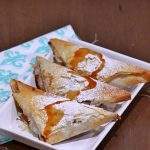 My boys found it much easier to eat when compared to a pie and also is very easy and quick to make with the store bought pastry sheets. The only thing that I would like to say over again is that thaw the phyllo sheets as per the instructions on the box. 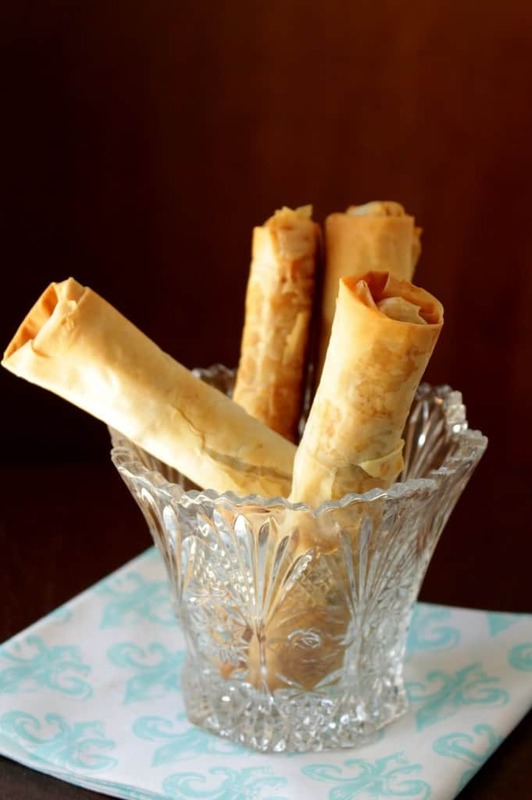 Do not try to rush the thawing process as the phyllo sheets are very fragile and can break very easily. I have wasted enough sheets in the past, but have learnt the lesson now. 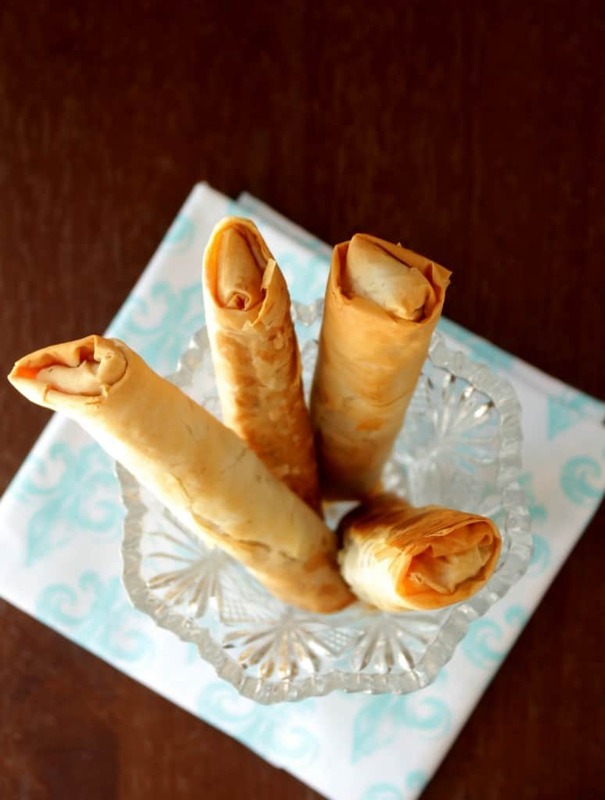 Minor tears here and there are very common in the phyllo sheet and can still be used without any issues. Thaw the phyllo sheets according to the package instructions. 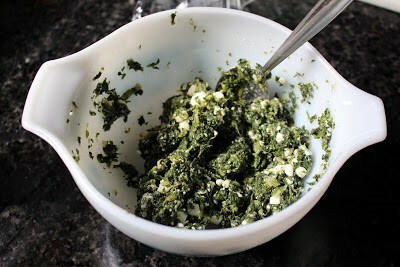 In the meantime, if using frozen spinach, that the spinach and then squeeze out all the liquid. Measure the spinach after you squeeze out the liquid. Add the rest of the ingredients, except the oil and mix well. Working with one phyllo sheet at a time, brush some oil on the sheet. 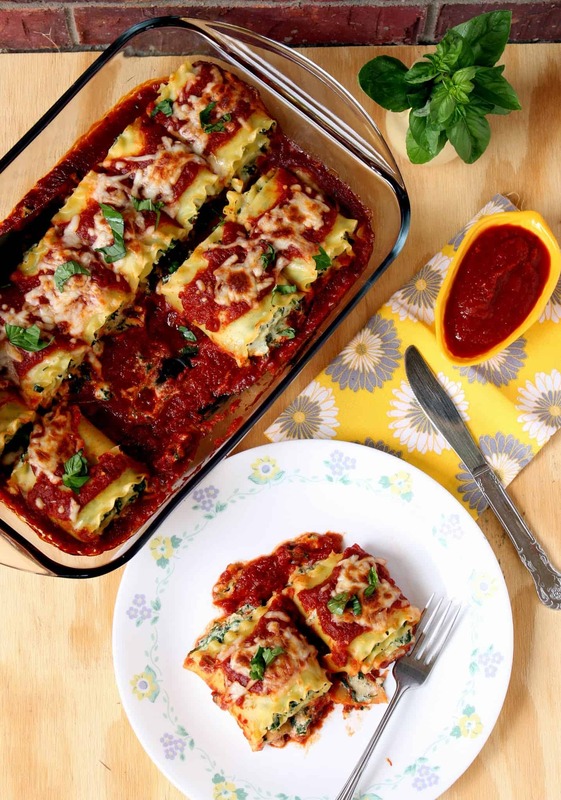 Fold the sheet into half and then place a tablespoon of filling on the long side of the sheet. Make sure you place the filling in a thin long cylinder. 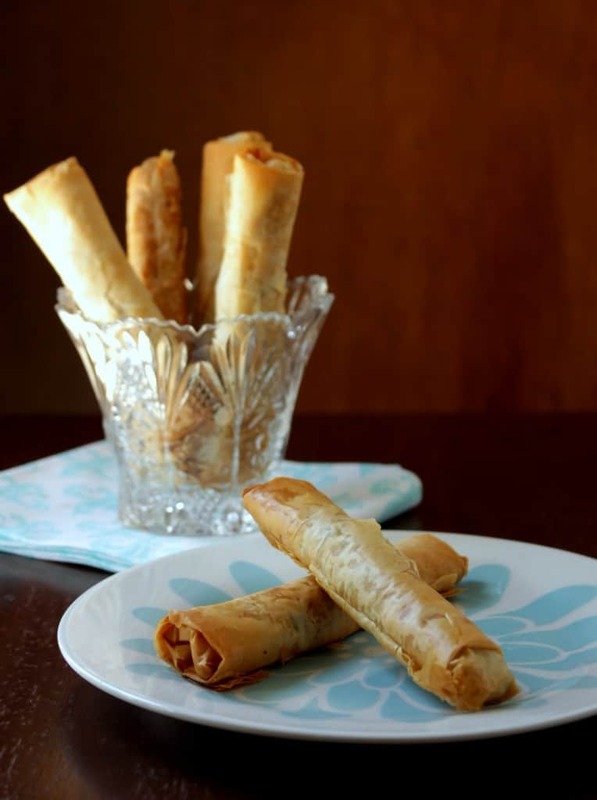 Fold the phyllo sheet over the spinach filling and roll it once more. 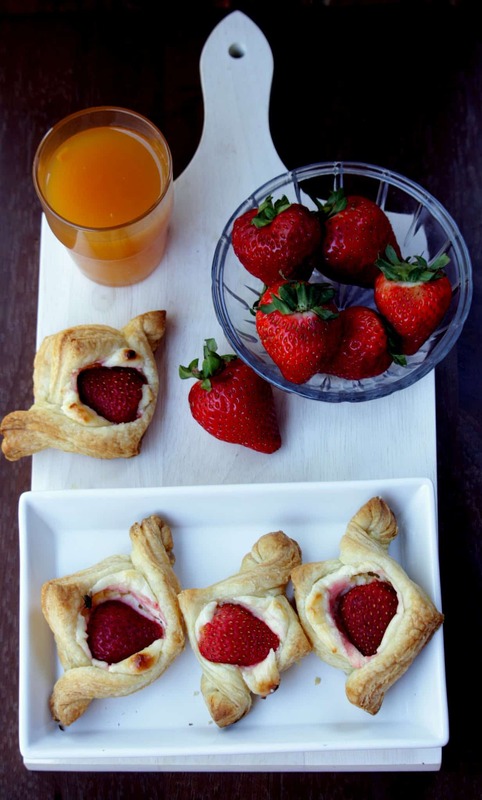 Fold in the sides to cover the filling and then roll the sheet all the way to the end. Seal the edges well with water. Place on the baking sheet and brush the top of the cigars liberally with oil. 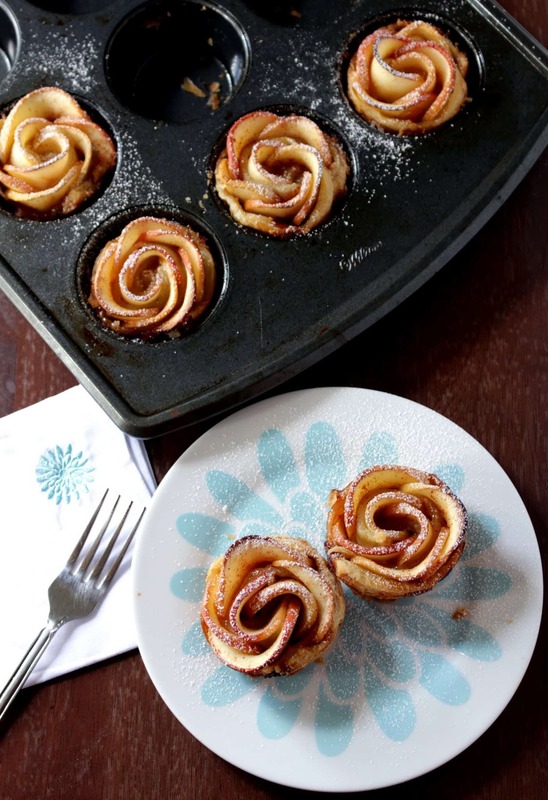 Bake at 375 F for 20 to 25 minutes, until the pastries are golden brown and crispy.